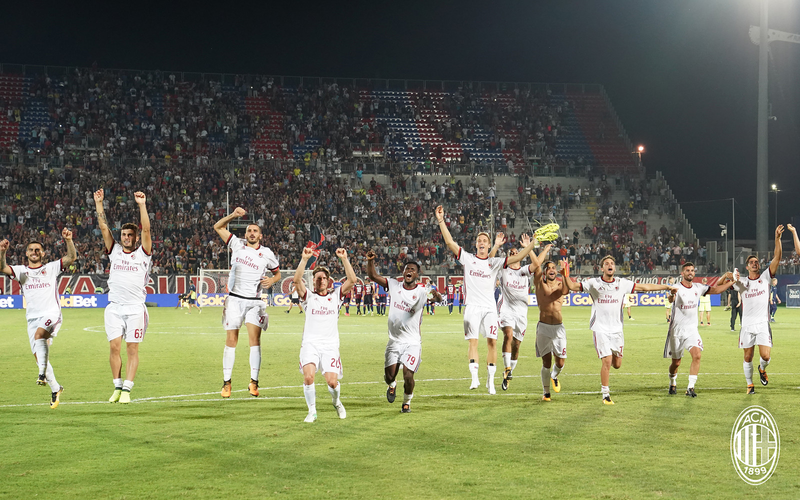 On paper, an early penalty cut Crotone down to ten men and they conceded three goals in the first 25 minutes. But as is always the case, there was much more to see than that. 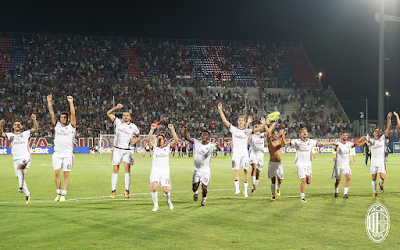 And Crotone fought hard throughout the match, all credit to them. But in the end, Milan had shark for dinner. In the third minute, Cutrone was taken down in the box. Originally, Mariani showed Faraoni a yellow card. But after much swarming from both sides, he drew the magic VAR box and reviewed the play using video. After seeing the replays, he rightfully handed Ceccherini a red card and awarded Milan a penalty. 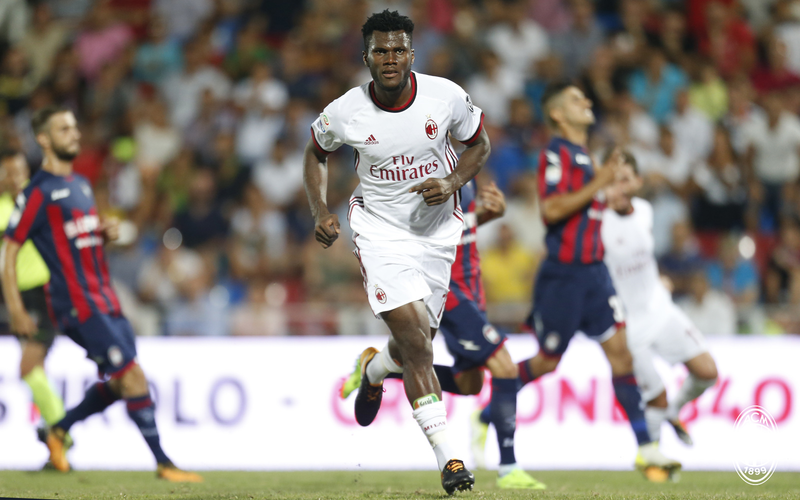 Which Kessie converted like a boss. 1-0 Milan. Nice to be on the good side of VAR for once. 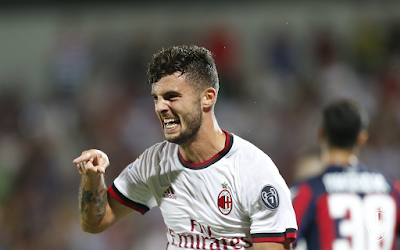 In the 18th minute, Suso sent a ball in and Cutrone brilliantly headed it in for a 2-0 lead. Although we almost had a Storari Special™ in the celebrations. Then, in the 23rd, Suso scored a goal with a Cutrone assist to make it 3-0. So nice that they took turns. But seriously, loved their teamwork on the night. Great to watch. There were a few yellow cards. Like Cutrone’s in the 9th minute or Locatelli’s in the 59th. Credit to Locatelli, though, he took down two Crotone players in one tackle. If you’re gonna get a card, that’s the way to do it. Bonucci also earned a yellow in the 69th. But on the flip side, his leadership was invaluable throughout. Like in the 15th when Conti was upset and Bonucci just put his arm around him, walked him away from Mariani, and calmed him down. So great to have a real captain again. Milan’s defense and especially Donnarumma will remember the name Budimir. The young Croatian troubled Milan throughout the night and had some bad luck, too. It’s not like Crotone let being on ten men destroy their mentality. It really makes me wonder, if they’d had 11 men for the whole match, would the result have been the same? But the most exciting thing for me was watching this team really becoming a team. I mean they still have such a long way to go. But even with the rotations necessary for Europa League matches, there are understandings being built amongst all of them. I can’t help but think how happy Montella must be to have players who can actually execute his tactical ideas. And it should only get better and better from here. In the end, perhaps the sending off determined the game, but it was still a game worth watching. I like to believe that Milan would have found a way to win regardless, but in all honesty, their performances have yet to consistently impress. Still, we lost a friendly with the transparency of VAR, now we’ve won when it counts thanks to the transparency of VAR. Three points and a great way to kick off the season. Now we can have some shark for dinner.